This is a pair of 6 Lug 12mm Hex Adapters. 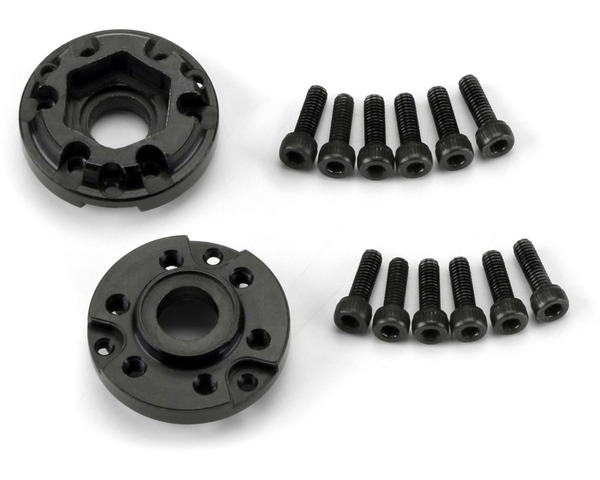 Pro-Line has a new set of Aluminum 6 Lug 12mm Hex Adapters that work perfectly with the Pro-Forge 1.9 Aluminum Wheels and the FaultLine 2.2 6 Lug wheels! These Standard Offset Black Anodized Adapters are expertly Made in the USA using the latest in CNC technology and are built to perform in even the toughest conditions. The Pro-Line 6 Lug Adapters are required if you want to use Pro-Lines #6292-01 Brass Brake Rotor Weights. Get your Pro-Line 6 Lug Adapters now!